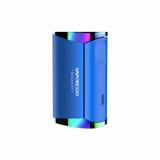 Vaporesso Drizzle Fit Mod has 1400mAh battery capacity and optioanl MTL and DTL mode. It offers enjoyable vaping for you. You will like it. Vaporesso Drizzle Fit Mod, which adopts switchable MTL and DTL mode to give you different vaping experience, comes with 40W max output wattage for cloud chasers. The built-in battery has 1400mAh capacity to prolong standby-time and it can be fully charged within 1.2h. 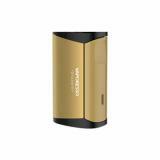 The power mode of this kit is optional.Just take this Mod to enjoy vaping. • Three-month warranty for Drizzle Fit Mod. 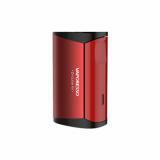 • Quick link: Vaporesso Drizzle Fit Kit. 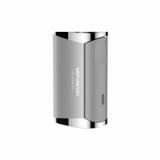 40W Vaporesso Drizzle Fit Mod - 1400mAh Vaporesso Drizzle Fit Kit is an all-in-one starter kit, consisting of 1400mAh built-in battery and 1.8ml tank. The Drizzle Fit utilizes OMNI Board Mini chip which sets the vaping wattage mode (MTL/DTL) intelligently through. Order was shipped out super fast. A+. Received items wrapped very securely in bubble wrap. A++. Product is confirmed Genuine and Authentic after checking with online verification. A+++.Highly recommended seller. Cheers.